A week long manhunt in Winston County came to a peaceful conclusion today (Sunday) as Kevin Ladexter Carter turned himself in to authorities at around 2:00 pm. 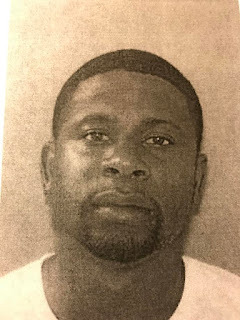 Carter was wanted in connection with the shooting death of Angela Collier on February 12 at her home on Roy Bates Road near Noxapater. Collier turned himself in to a Leake County Deputy Vincent Carter this afternoon around 2 o'clock. The deputy had a known connection (possible family relation to the suspect.) Carter has now been transported to Winston County and is in custody at the Winston Choctaw County Correctional Facility. Winston County Sheriff Jason Pugh says law enforcement is relieved that the situation has concluded without further incident. Pugh took the opportunity to thank Leake County law enforcement as well as the US Marshal Service and the Mississippi Highway Patrol for their work and assistance. The Marshall Service and MHP have worked hand in hand with Winston County officials throughout the week on the case. Carter apparently remained in the area throughout that time. Carter is a suspect in the shooting death of Collier who was shot in the upper leg/thigh and an attack on a witness at the scene. Carter was considered armed and dangerous. More details will follow as they develop.